Yes, it's true. I'm a huge fan of The Office. 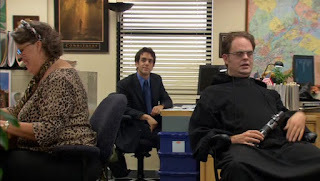 I've ranked the best characters of the show and the best episodes, but today we're going to go a step farther. If you've followed our site for years, you'll know that The Office has been given multiple articles like other classic TV shows such as Martin, Fresh Prince, A Different World, and others. One thing those shows have in common on this site is that they've all had their best seasons ranked and I'm going to continue that trend with our look at the 5 greatest seasons of The Office. Yes, the show has had a total of 9 seasons, but we will only take a look at the 5 greatest. Missing from the top 5? 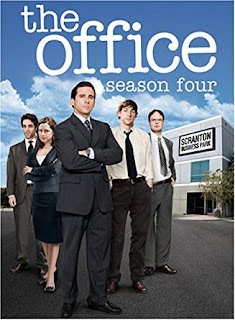 The lackluster final two seasons, the short and slightly boring first season, and the slightly too long sixth season (which still features some great episodes and the marriage of Jim and Pam). Those seasons don't crack the top 5, but they still have some entertaining moments and are recommendations to watch. 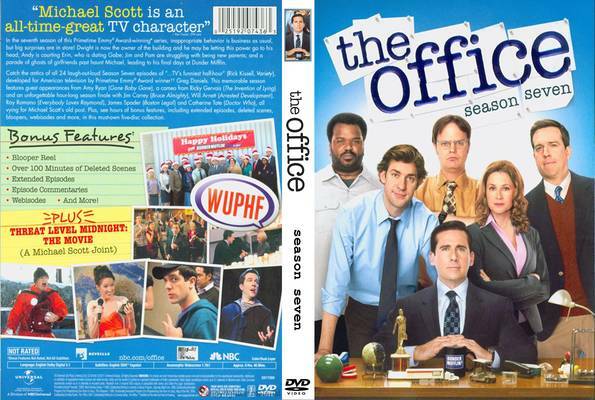 However, let's take a look at the 5 greatest seasons of the Dunder Mifflin crew. -The real end of the show for me. 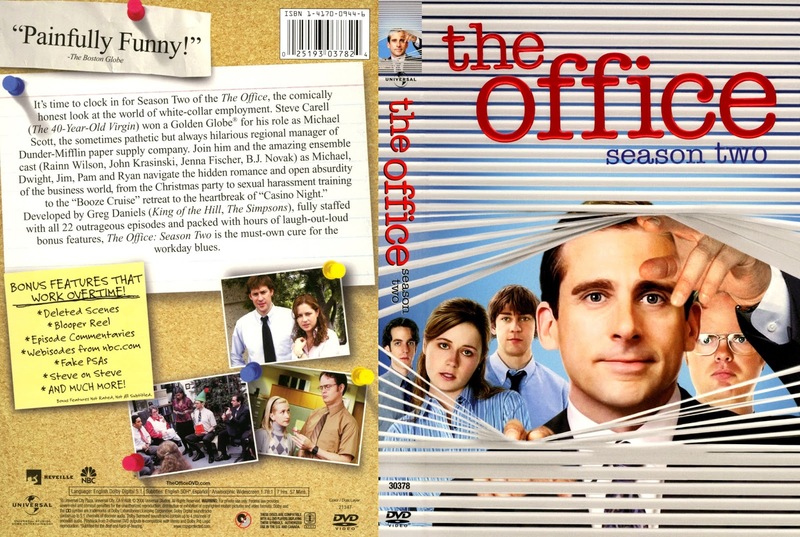 The last season of Michael Scott and subsequently, Holly Flax as well. Will Ferrell comes on the show for a few episodes to help "take over" for the departing Michael Scott, and he isn't bad in his limited role. This season made up for some of the lackluster elements of season 6, and also gave Michael Scott the proper send off and the happy ending, with the emotional "Goodbye Michael" episode. 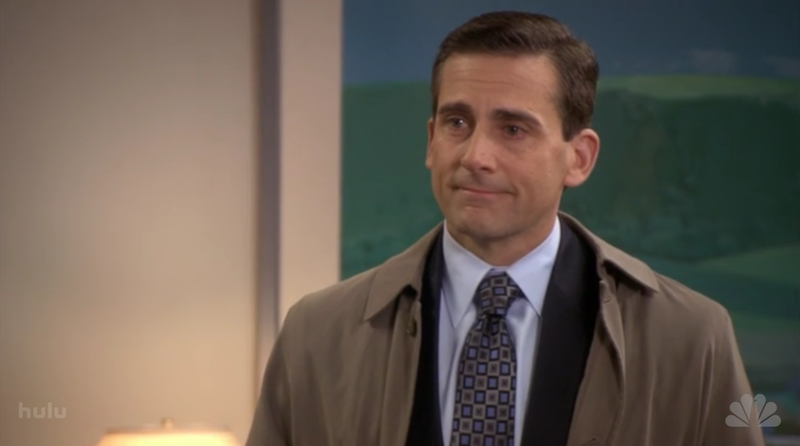 This season wasn't perfect by any stretch, but the storyline of bringing the Dunder Mifflin journey of Michael Scott to a close is honestly where the show should have ended. Why the creators of the show continued for two more seasons is beyond me. 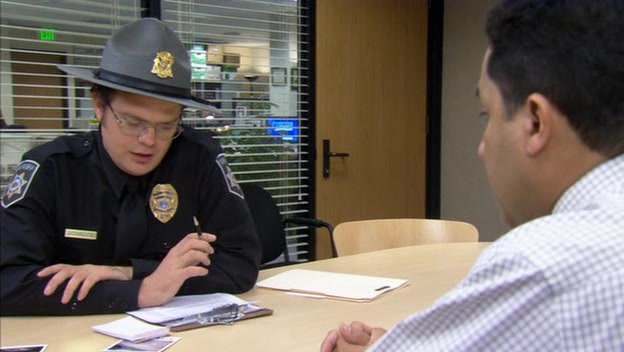 Toby in jury duty, the Holly and Michael reunion, and the coming to life of Threat Level Midnight is honestly what makes this season a special one for me as a viewer. Season 7 is where The Office really ends if you ask me. -I used to think this season was just good, but upon watching it more and more, I've learned that this is definitely one of the best seasons of this show. The story of Michael Scott trying to affirm his independence with the Michael Scott Paper Company is one of my favorite things to witness about this season, but it's not the only great piece of it. My only problem with this season is the inclusion of Idris Elba as the newly hired Vice President Charles Miner, as I really didn't think he worked very well in this role. His best moments would be when he clashed with Michael, and those scenes were usually carried by Steve Carell. 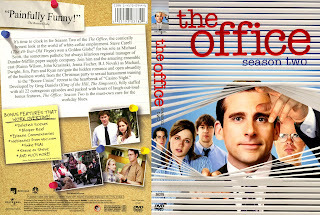 The story of Michael once again clashing with the Dunder Mifflin corporate division is hilarious to me for a number of reasons. Michael sought to have the respect and adoration of corporate the entire show, but him finding his independence this season was what makes it a favorite for me. 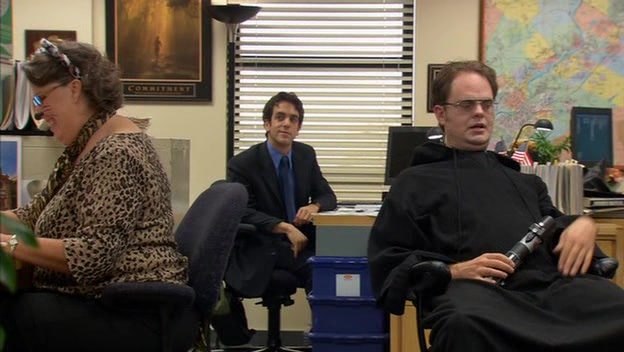 The Michael Scott Paper Company threatened Dunder Mifflin and it was just Pam (in a new role as a salesperson) and Ryan (seeking redemption). This was honestly one of the best storylines in the show and it was too short lived IMO. The biggest thing on the show this season however besides that? The entrance of the romance between Holly and Michael. 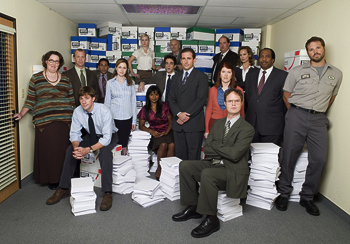 Season 5 wasn't the best overall compared to the other classic seasons, but it is a definite top tier season of The Office. -Michael and Jan started to come full circle. 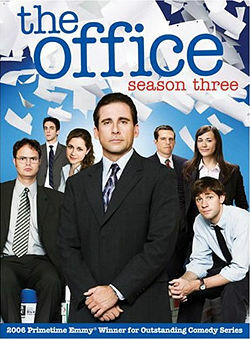 Jim leaves Scranton for a different job in Stamford, but soon returns back. Pam and Jim finally started to work towards their eventual destiny, amidst a few hiccups, and the Scranton branch of Dunder Mifflin ends up merging with the Stamford branch and introduces some new characters, which makes for an interesting story and some ridiculously hilarious moments. 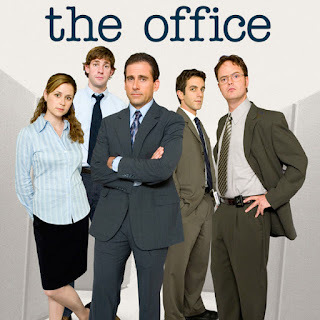 We're introduced to Karen, a Stamford employee who Jim starts dating, and of course, the temperamental Andy Bernard, who became one of the most important characters in the history of the show. This season introduces us to Prison Mike, stereotyping of employees, as well as elements of possible homophobia and racism, but it was done in such a hilarious manner that you overlooked the "issues" addressed. Oscar coming out as gay and Michael's reaction is quite possibly one of the most hilarious moments in Office history, and it kicks off the entire season. 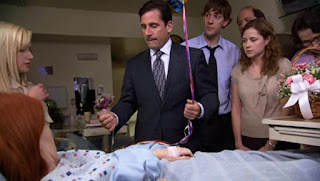 The ups and downs of Jim and Karen, along with Jim and Pam, made for a fun romantic story and the plight of Michael going from dating Carol to once again dealing with Jan is also a great story arc. Season 3 could take any spot on the top 3 honestly, but for me it just misses the top 2 due to the consistency of the seasons that rank there. Still, this is a classic season and easily one of the greatest sitcom seasons ever. -The greatest episode of the show comes from this season, but this season is not quite the overall greatest and a bit of a history lesson might explain why. 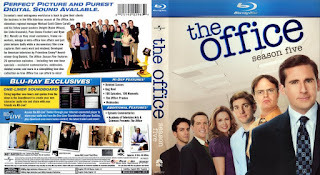 After the Screen Writers strike shut down a number of shows in general, The Office went from a season that was set to have 30 episodes to a shortened season of 19 total episodes overall, but with 9 half hour episodes and 5 hour long episodes, it would equal out to 14 episodes on the DVD end of things (it is officially 19 episodes in the season). Still, the writers strike took a toll on the show, as the shortened season gave them a surprisingly higher margin for error, and yet The Office didn't miss but one time this entire season. The first episode, with Michael hitting Meredith with his car and the aftermath makes me laugh hysterically every time I watch it because it's so ridiculous. The concept of Michael and Dwight delivering gift baskets only to end up in the water due to GPS navigation is also a hysterical moment of the show. The battle with Jan and Michael over her spending of his money, as well as the poorly executed launch party for Dunder Mifflin Infinity all were great highlights in the early part of the season. Perhaps no greater moment in the show comes when the group gets to make their own TV commercial and they enlist Darryl to come up with a possible theme for it. The beauty of "Dunder Mifflin... the people person's paper people..." over that simple keyboard rhythm is still a memorable highlight for me. 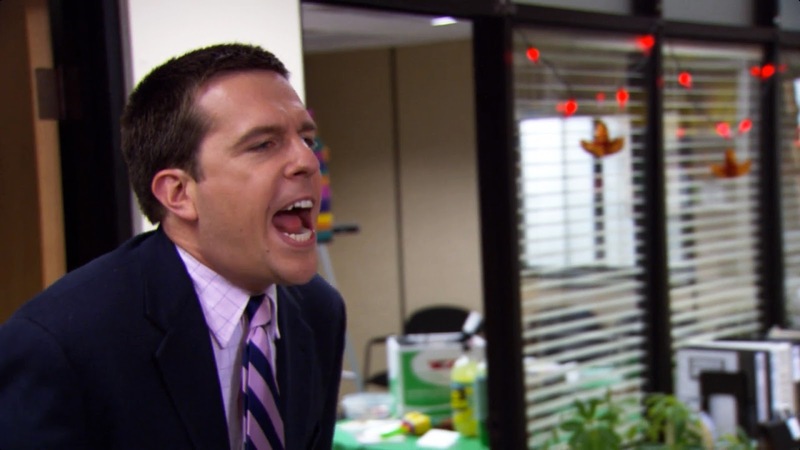 There's the branch war between Scranton and Utica that also leads to more hilarity and how could we forget the apparent departure of Toby in the season finale, and not to mention the Stanley and Michael "Did I Stutter?" standoff. However, the apex of the season comes when Michael and Jan invite Pam and Jim, along with Andy and Angela (who start dating this season) to their dinner party and the craziness ensues from there. We see Michael and Jan argue, accusations thrown at Pam, Jim and Pam attempt to leave, Jan's former assistant Hunter makes his presence felt (literally) through song, and the night ends up with the police being called. It's the episode that almost made me put season 4 at number 1, because it's just so well crafted, and that dinner party is the most epic episode in the history of the show IMO. 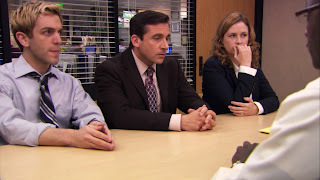 Still, season 4 also has one of my least favorite episodes, when Michael goes out into the wild after not being invited to a company wilderness retreat. That single episode holds this season back from being no. 1 honestly. Still, this is one of the greatest sitcom seasons as well in TV history. Minus that one episode. -This is the greatest season of The Office and I don't even think it's truly debatable. 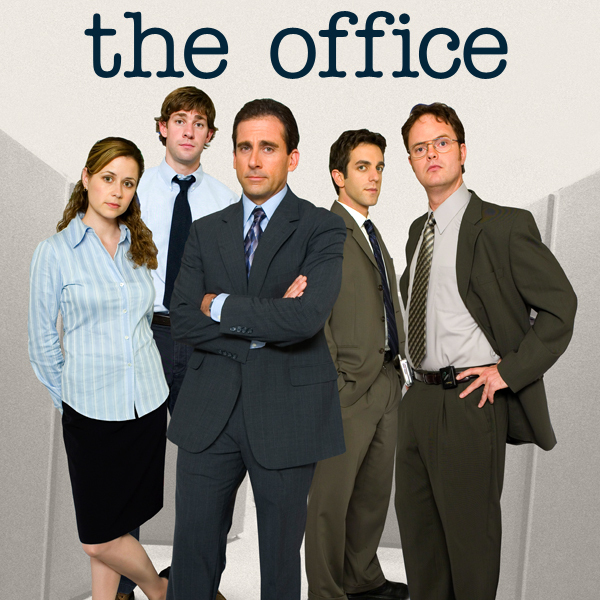 This is when the show truly came of age, with Michael Scott and Dwight Schrute becoming more and more comfortable in their roles, with the tension between Jim and Pam continuing to build. 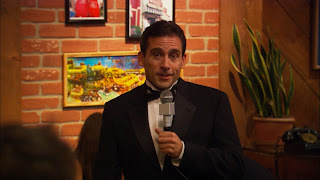 The beginning of the crazy story of Jan and Michael came this season, along with our introduction to Michael's affinity for Chili's and the Dundies, the greatest office awards of all time. There is so much happening in this season and it is all an introduction to mainstays and elements that made the show memorable later on as well. 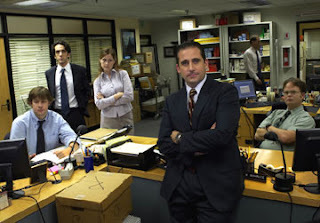 From the sexual harassment episode to the office Olympics, all the way to fire that was started in the office, the season opens with a bang and never stopped. From Michael's George Foreman Grill injury to the Booze Cruise to Casino Night, there's really nothing missing from season 2 of one of my favorite sitcoms ever. Season 2 is the greatest season of The Office by just a slight margin. Every episode has laugh out loud moments throughout, and every character settles into their role smoothly. Revisit season 2 if you want to see true television greatness. You won't be disappointed.